Tabling can be done at any time of year, but you want to aim for times when you are most likely to reach your target audience. This includes the student activities fair, Earth Day, and career fair. Reach out to the organizers a semester ahead of time to make sure you get a spot. Find a spot where you can be near other similar organizations and where traffic is heaviest. Find members to join your group? Collect letters or petition signatures? Get people to come to your next event? Educate people about Carbon Fee and Dividend? Your conversation should build up to the most important ask. You want to have enough at your table to draw interest, but not so much that it looks cluttered. Start with a clean table cloth. Get a large banner with “Citizens’ Climate Lobby” printed on it. 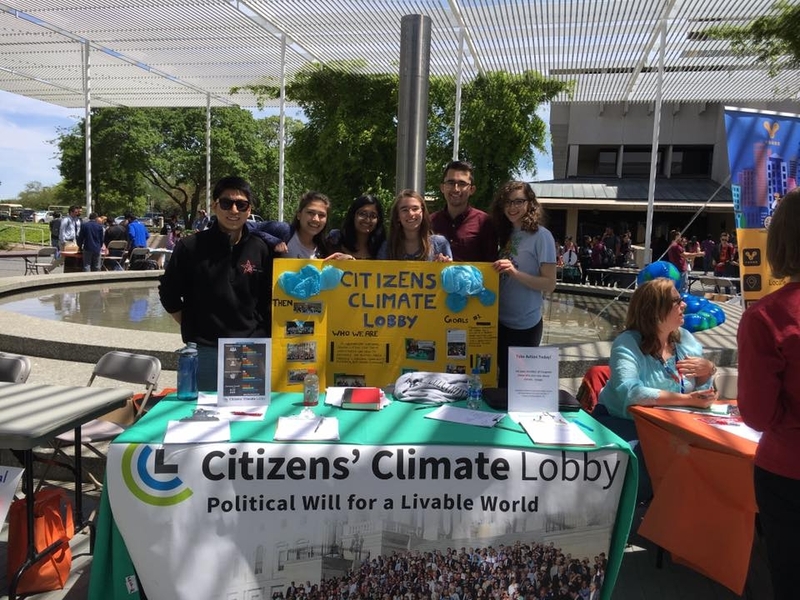 You may be able to borrow a CCL banner from a local CCL chapter (find one here), or print your own using templates from https://community.citizensclimatelobby.org/resource/banner-2/. You also want to have a sign-up sheet. It’s easiest if you create a google form and have people sign up through a laptop or phone. You can also have a paper sign-up sheet and type it up later. Make sure you get their name, phone number, and email. Invite people to join your social media on the spot. If you’re collecting signatures for a petition, that could double as your sign-up sheet. Have some engaging visuals. 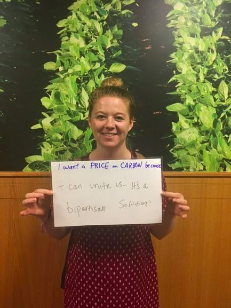 You can print photos from the Carbon Pricing Student Testimonials Project and put it on a board. You can play the slide show on a laptop. You can create artwork that represents climate action. Our Climate’s salmon mosaic and maple mosaic are good examples. Climate Toothpaste has some interesting products. 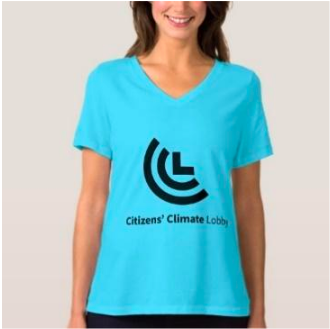 Take a look also at CCL’s store for shirts, buttons, water bottles, bumper stickers, and more. Put out some “goodies”: candy, fruit, cheese and crackers, etc. How your team members present themselves makes a big difference on how your group is perceived. Wearing CCL gear will make you look official and cohesive. If youare not wearing CCL gear, a business casual outfit signals that you are professional. Avoid outfits that are too casual, provocative, or have logos from other organizations. You can get gear at CCL’s store. Remember to smile and shake hands! 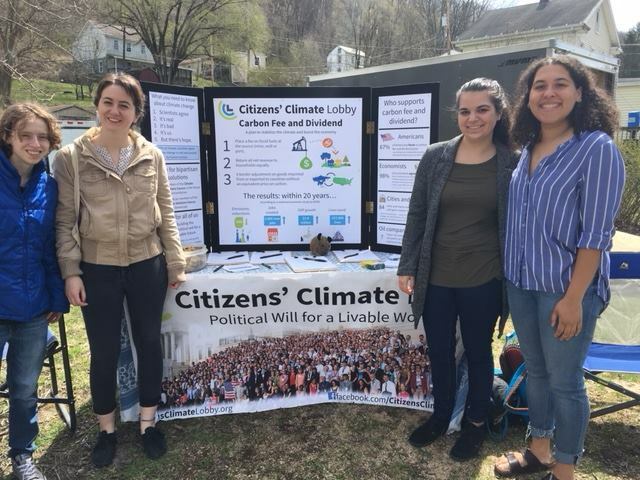 In addition to letters and sign-up sheets, a climate action photo booth is a great way to engage visitors to your table and accomplish some advocacy. Create a google slide deck using the template in our testimonials presentation. Have a white board where people can write their name. Have the student(s) hold up the sign and white board. Take their picture with your phone or camera. Make sure their name or a number is in their photo as well as on their information slide so you can match them up later. Have them fill out a testimonials form (in Campus Leaders Resources Folder) or google slide. Upload your photos to the google slides. A brightly colored and simple backdrop will look better than a plain white one. Make sure your space is well lit, from the front, not the back. Wipe your camera lens before you begin. Use flash if you’re in a dark space. Get photos of students individually and in groups. After your event, don’t forget to follow up! Contact the people who joined your mailing list as soon as possible. Schedule meetings with those who volunteered to help. Upload your photos and deliver letters to your member of Congress. Also, fill out a field report so that CCL has a record of your event.